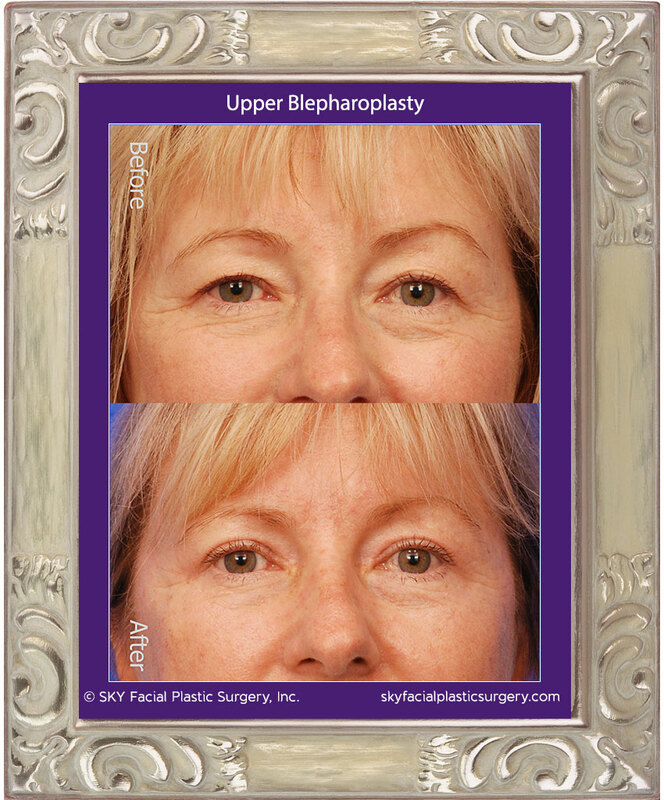 Blepharoplasty, or eyelid surgery, corrects the signs of aging that occurs in the upper and lower eyelids. As we age, the shape and contour of the eyelids change as the skin becomes hooded and fat prolapses leading to both puffy and sunken areas. 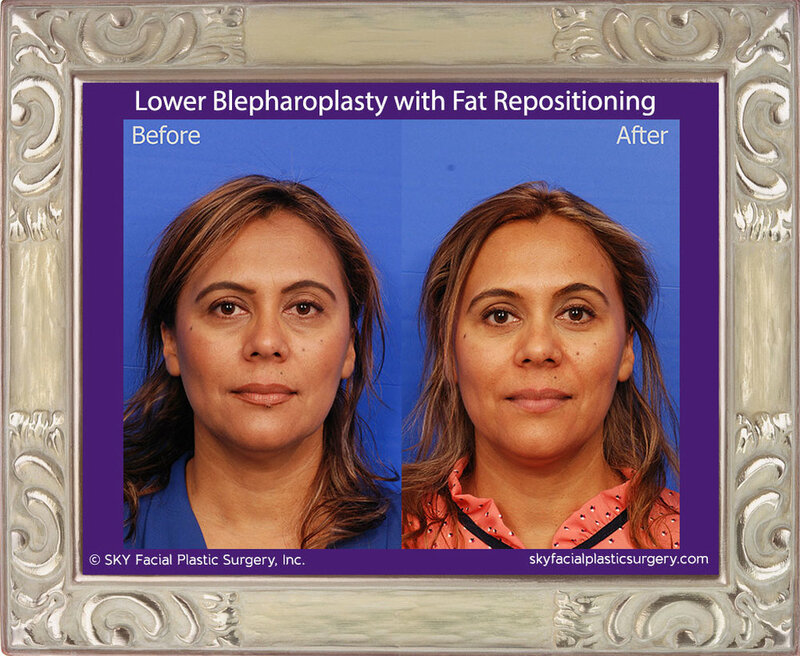 Blepharoplasty removes redundant skin and either repositions fat or removes excess to restore the eyes to a more youthful appearance. 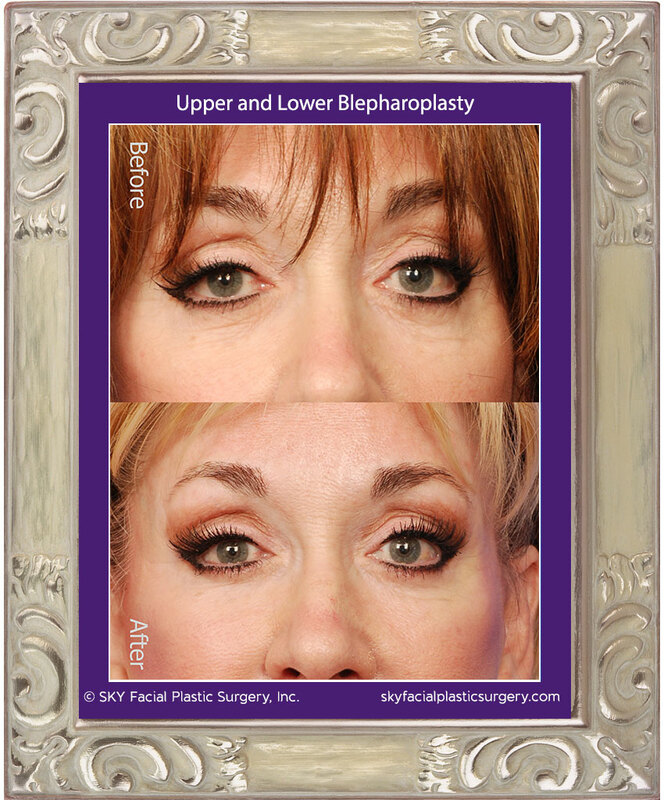 Dr. Yoo is an expert in upper and lower lid blepharoplasty. He tailors his approach to the patient's specific needs. 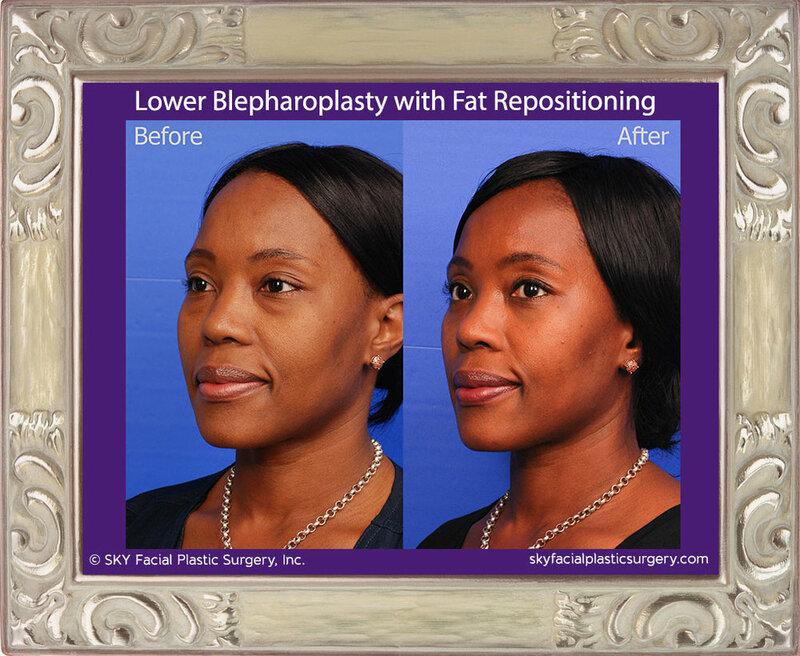 Dr. Yoo specializes in fat preservation by repositioning it to fill in areas of hollowness. 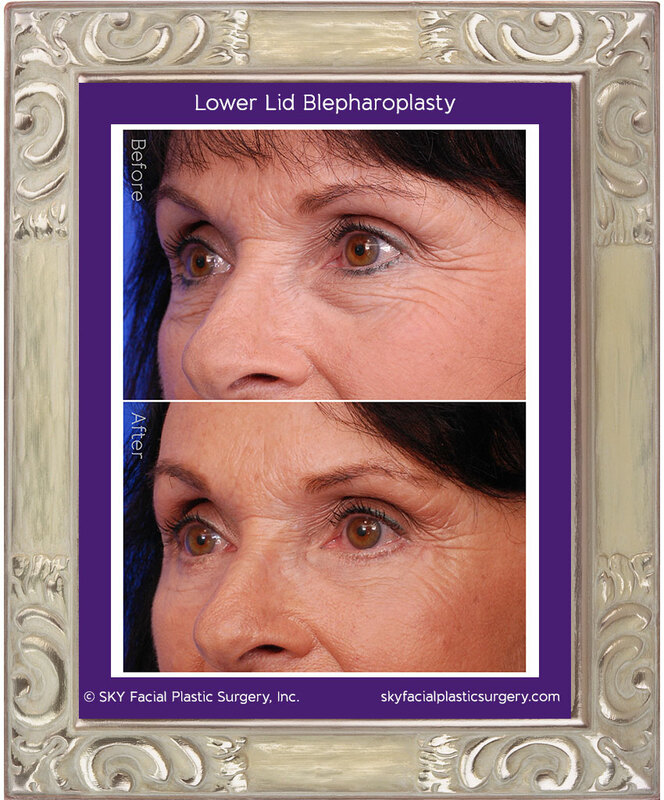 This can often lead to more impressive lower lid rejuvenation than conventional lower lid blepharoplasty. He is also a leader in the transconjunctival approach that leads to scarless results. Consultations are the best way to discuss your needs with Dr. Sirius K. Yoo, our double-board-certified facial plastic surgeon. Call (858) 381-4801 to schedule a consultation with Dr. Yoo at our San Diego office. 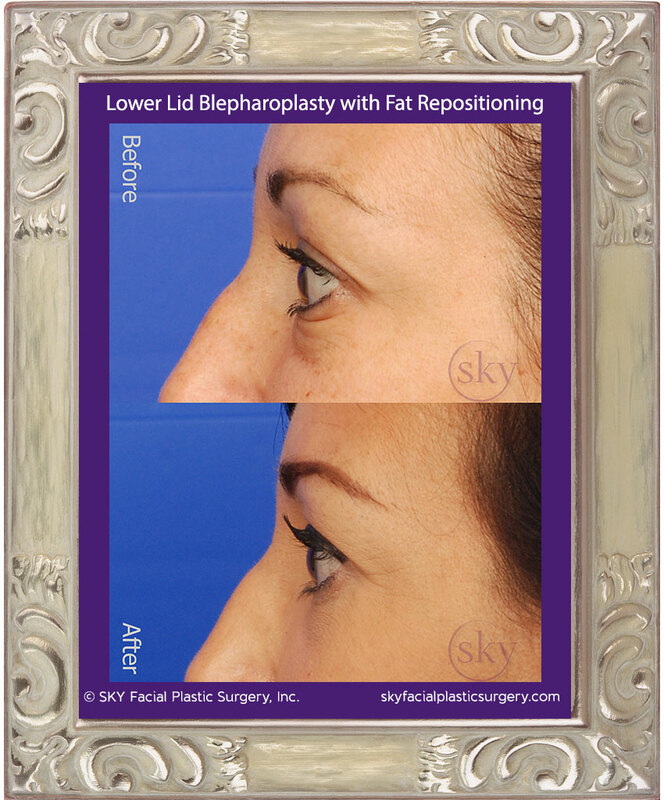 Quad-Blepharoplasty (eyelid lift) - This patient also had a small mole removed from her glabella. Transconjunctival lower blepharoplasty to remove bags. 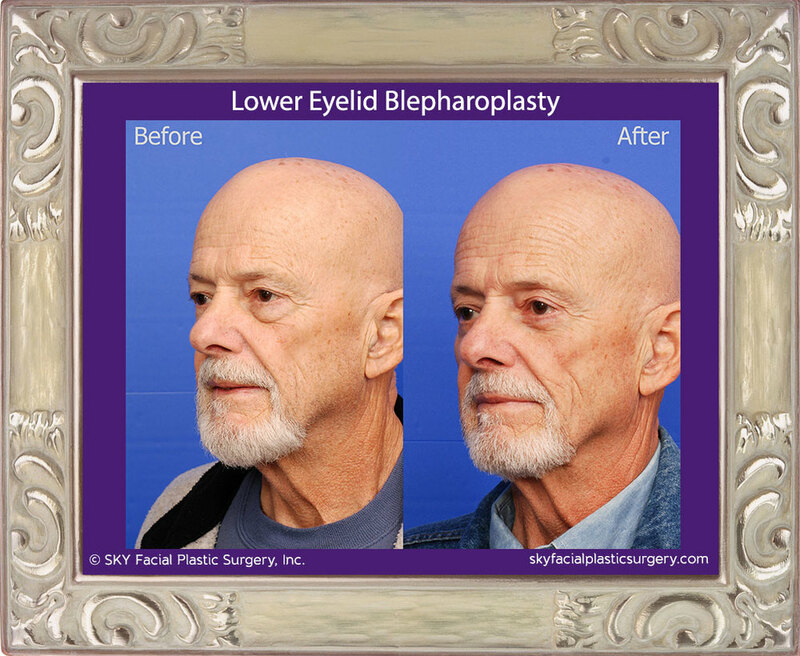 Conservative lower lid blepharoplasty was performed to rejuvenate his lower eyelids with natural results. Fat was repositioned into the tear trough hollow to address the volume loss in this area. 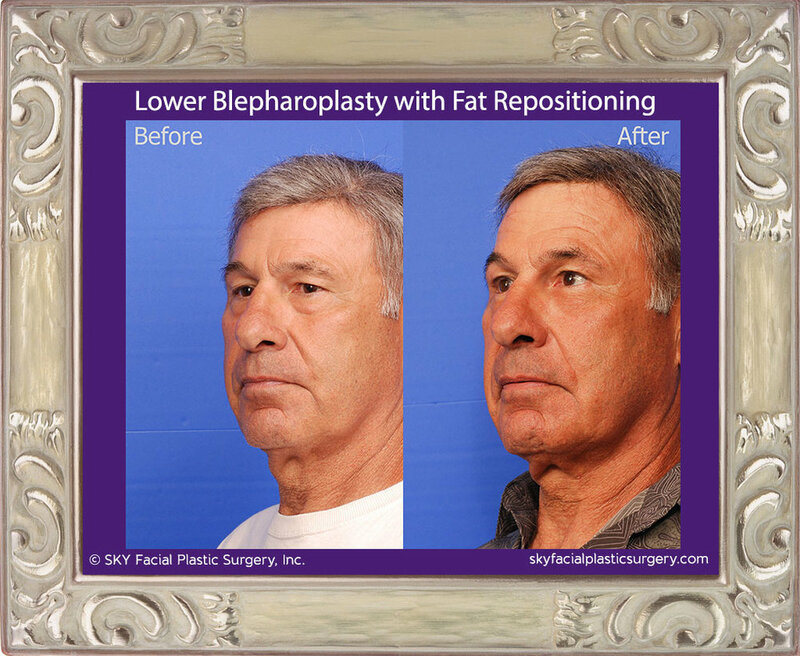 Conservative blepharoplasty for refreshed natural results. Upper lid traditional approach. 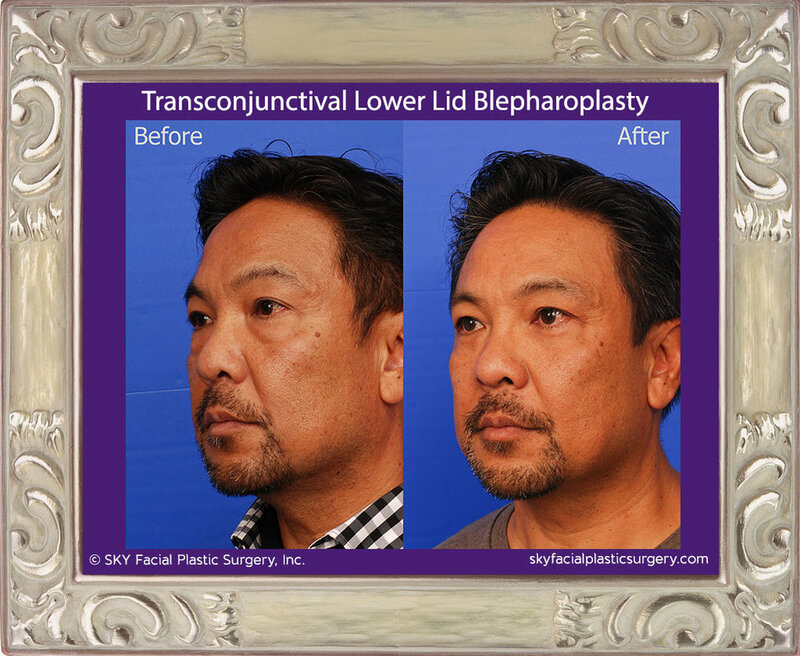 Lower lid transconjunctival blepharoplasty with skin pinch. Treatment of lower eyelid bags and hollowness. Improvement of lower eyelid wrinkles. Treatment of lower eyelid bags. 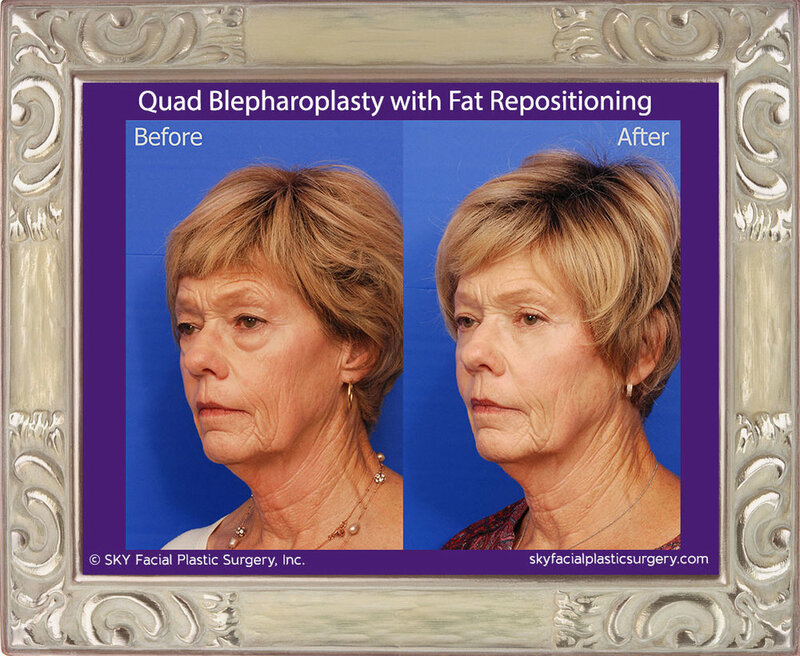 Blepharoplasty is commonly performed on an outpatient basis. It is accomplished with local anesthesia, oral sedation, or general anesthesia depending on doctor and patient preference. The procedure normally takes one to two hours. 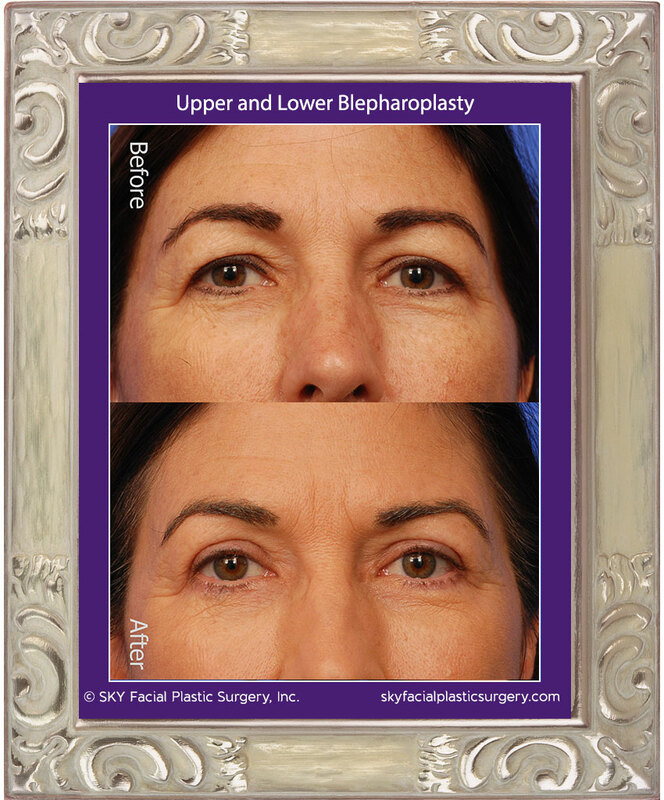 For upper lid blepharoplasty, Dr. Yoo makes an incision following the natural creases of the upper lid. Then, he removes excess fat (if necessary), muscle (if necessary) and skin through the incision. To close the incision, Dr. Yoo uses fine sutures that minimize scarring. 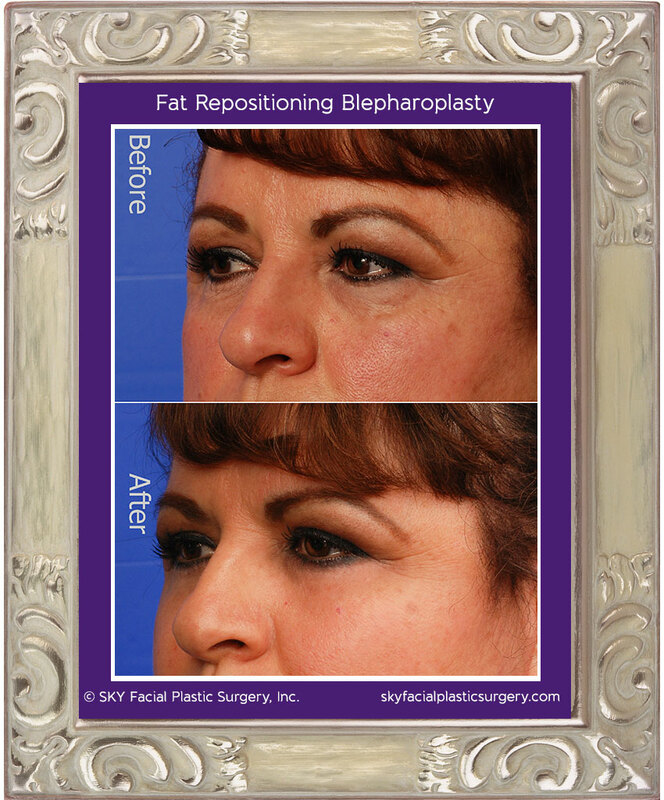 Transconjunctival blepharoplasty is used to remove fat only and does not remove skin. This technique is preferable for younger patients who have small bags under the eyes, but little to no excess wrinkled skin. 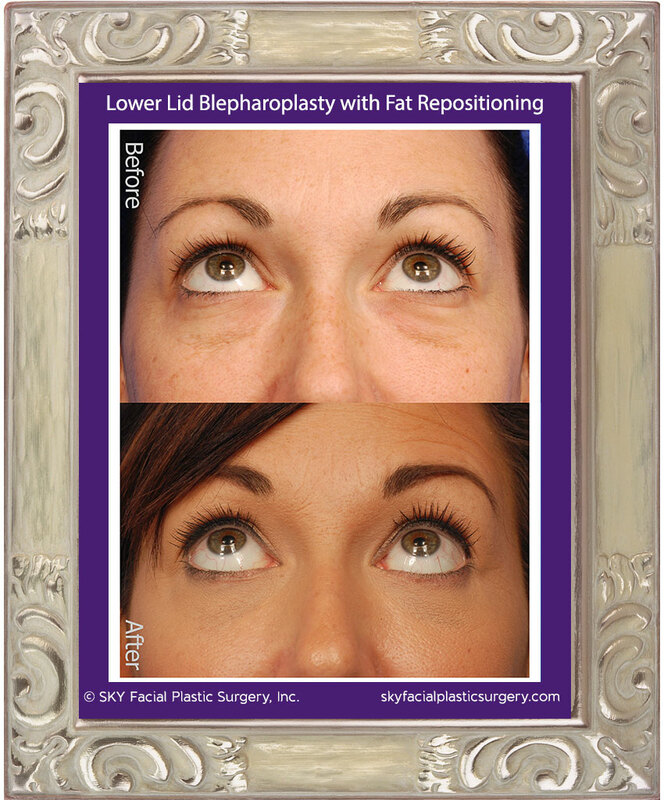 An incision is made inside the lower eyelid and excess fat is removed. Self-dissolving sutures are used to close the incision. The subciliary technique removes skin, and can be used to remove muscle and fat if necessary. An incision is made along the lash line and usually does not leave a visible scar once healed. Fine sutures are used to close the incision. Dr. Yoo often combines the two approaches in order to remove skin and fat, but leave the muscle alone. Patients go home the same day. Bruising and swelling for a week to ten days is normal. At the one week follow-up visit, Dr. Yoo will remove any permanent stitches. Self-absorbing stitches dissolve on their own.